I am loving this Baby Essentials series and have found out about so many new (to me) baby product designers from the very on-the-money Tina from Noosh. Tina designs amazing products for kids, including the killer-cool Frankie modular sofa, neat-o wall art and accessories. This is Baby Essentials #8! 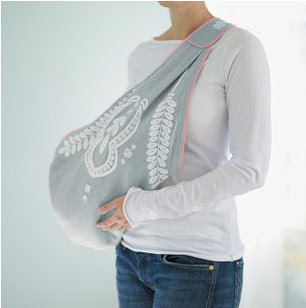 Favourite Wrap: Sydney-based Lilly & Lolly Interlock Star Wrap. 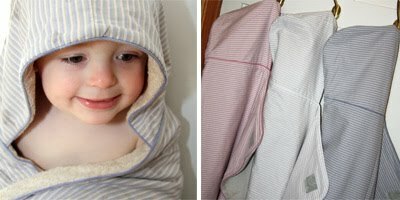 Made from a soft and stretchy 100% cotton, these wraps are enormous so they wrap around even giant babies, and the stretch allows them movement within a snug wrap without them breaking free and getting cold tiny arms... I LOVE them. 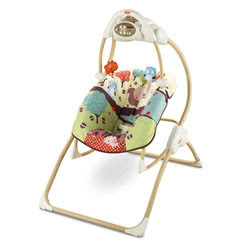 Favourite Rocker: Fisher Price 2-in-1 Swing & Rocker. Best. Thing. We. Ever. Bought. I won't lie to you - it's bigger than your average boucer/rocker - but it changed our lives! The super padded seat is really comfy for bub so our little guy would spend hours in there very happily. You can use them from newborn up to about 12 months so they have a bit of longevity about them for the price and they hold their value well for an eBay sale when they 're no longer needed. The seat reclines and it swings side to side and front to back with music and light shows to amuse and entertain. This swing allowed me time to do stuff besides breast-feed... like, eat! 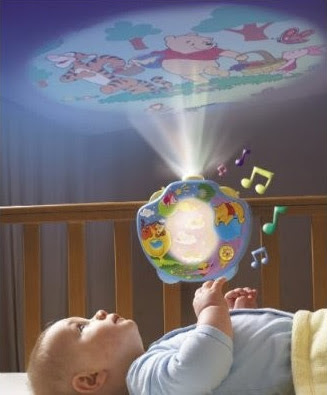 Favourite Mobile: We're more of a projector family and have two Winnie the Pooh Nursery Projectors for the boys. They hang on the side of the cot - or bedhead now in Mr 4's case - and play Twinkle Twinkle Little Star while they project a Pooh themed lightshow on the walls and ceiling. He still has his on every night at bedtime and if he wakes through the night he can put it on himself to get back to sleep. Perfect! There are lots of different ones on the market. Just make sure you choose something that isn't too stimulating. 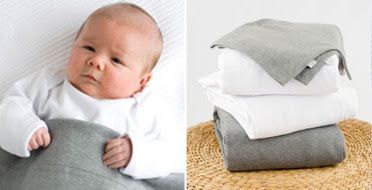 Favourite Cot bedding: New Zealand company Merino Kids organic fitted cot sheets and sleeping bags. Once bub doesn't need wrapping anymore you can't go past the sleeping bag option. It's great for a restful nights sleep (for mum) knowing bubs isn't in the nursery kicking his/her blankets across the room! 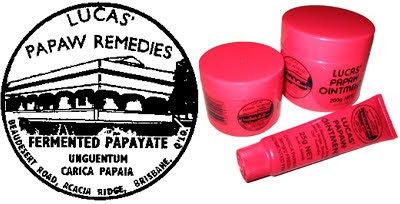 Favourite Nappy Rash Cream: Always Brisbane company Lucas Pawpaw Ointment. Works every time! Good for mummy lips too. Favourite Bath Gel: Aromababy Pure Baby Wash for Newborns from Thomastown, Victoria. Favourite Cot: My greatest love in this department is The Ioline Crib by Kalon Studios in New York. The cot retails for $1595US and they will ship to Australia for only $250. There's a conversion kit available as well. 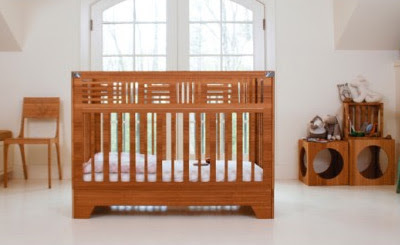 Made from contemporary bamboo, it's a simply stunning design that won Kalon the Time Magazine Top Green Crib in the world. 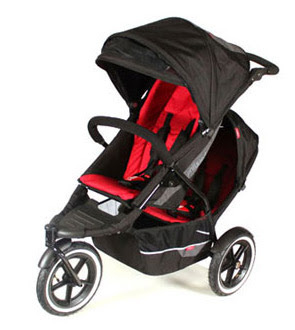 Favourite Pram: Phil & Ted's new Explorer. It does everything except make your coffee! We've been using our P&T for over four years and even when our 4yo wants to walk we take the double kit with us because its great for transporting picnics, shopping or my handbag! 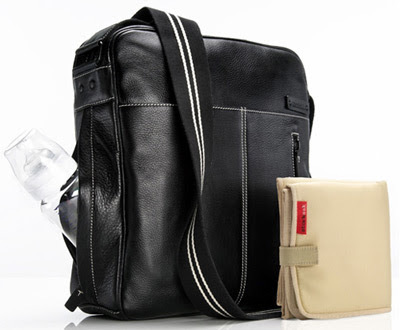 Favourite Nappy Bag: The Storksak Jamie is my must have. It's tough, stain resistant, kid-proof, black leather with lots of thermo pockets and zippy bits, and it even has a spot for my iPad (for when I let them loose in the playground or just in case the boys decide to sleep! ), and the clincher is that shipping in Australia is FREE!!!! Other: Tasmania's Mizzle bibs. The hugest bibs I've seen on the market, which translates to: clean outfits for mum/clean outfit for bub/protects carseats and pram straps! 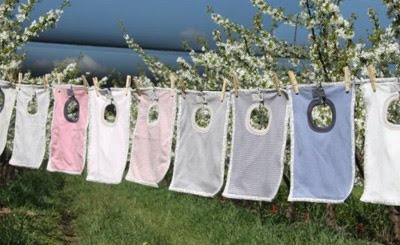 They're soft organic interlock with thick terry backing so they soak up lots and, best bit, they're stylish! LOVE them. Thank you so much Tina! Head over to the Noosh website to find great Australian-designed products for kids. You can also read more about Noosh here on Bondville. For more gorgeous finds by Tina, head over to the Noosh Kids blog where you will find stylish, fun ideas for kids. a big shout out for the aromababy pure baby wash, it was the only product we could use on our baby and had no overpowering smell or essential oils! just purchased 3 tubes at priceline and received 30% discount, love it!